Hi Guys Here are my 14 days post op. pics. Top pic was taken 5 months ago. No shedding yet. So far extremely pleased with results, and lack of pain as well. Overall it was a very good experience and when I compare this to my first FUE in 2013 in Los Angeles... Back then I got low density right off the surgery, and redness for 3 months with "avocado skin". The doc was using the lateral slit method I believe. Much less redness and bumpiness this time. I am now oral Minox since 7 days ago - 5mg a day, also FIN for much longer, and MSM 4 grams day. As a side note, in Thailand you can buy oral Minox in drugstores and it cost 100 baht for a small bottle with 100 pills of 5mg - that is about 3 USD per bottle ! I was using a can of Rogaine foam every 10 days so this alone more than covered my plane and hotel fare, since I got a 2 year supply of Minox for less than 30 USD. No side effects to report so far. 5mg is very effective.. I noticed native hair darkening and thickening after a week with usual shedding down to zero.. I did grow my hair for 5 month pre op in order to do a massive comb over and hide the recipient , dreading the redness and avocado skin from my past experience...hence the weird hairstyle. If you live in Australia check out Dr. Path and Dr. Laorwong. Are you open to FUT? Asians with Norwood VII, FUE 3412 grafts, 10 months result, he also taking Finasteride 1 mg and Mionoxidil 5 mg after surgery. FUE, 1790 grafts, the result was 6 months after surgery. We used Mamba Nano devices, 0.9 mm punch, the grafts were placed in pre-made slits with dull Lion implanters. On August 11 I had an FUE HT with Dr. Kongkiat Laorwong. It was suggested that 2500 grafts were needed to cover my crown and hairline a few weeks ago through some photos I have sent him and the assessment didn't change on the actual day. There were only three main factors I chose this doctor: a) he has an archive of his work showing good results, b) he has 10 years of experience and does the surgery himself and c) he is a Diplomate of the American Board of Hair Restoration Surgery (ABHRS) he was a well-trained hair transplant surgeon by fellowship training program certified by ISHRS and he is a Fellow Member of ISHRS ( FISHRS). In my experience, things were very professional. Dr. Laorwong doesn't ask a lot of questions nor does he talk a lot but all the information he needed were in the form I filled up. After taking photos and deciding the hairline height, the procedure was done without incident (I noticed the assisstants massaged my legs before the injection which was probably a diversion). I was given a free PRP injection and was half awake (even noticed myself snoring) and was happy that everyone was very professional. After the surgery, I was given medication and a post op pamphlet which I followed. I never took the sleeping pills nor the pain killers as I didn't really feel any discomfort after surgery (except for recurring hiccups) and was able to sleep well at the hotel. The next day, the doctor himself washed my hair and gave me extra ointments for acne, in case it developed, and to reduce the redness in the area for free. As I wanted to go around Bangkok (which is a beautiful place by the way), I asked for an extra bandana and shower cap. Everyday I sprayed my head, applied petroleum jelly, wore a shower cap and a bandana, and went around. The bandana was black so people didn't really think anything about it. When I started working 3 days ago, I couldn't spray my head constantly anymore so I just applied vaseline petroleum jelly on it (the clinic gave me one as well but I used it all when I was in Bangkok), wore a shower cap, then a loose summer beanie. Nobody asked questions as the beanie was fashionable. Although, I stood out wearing a suit with a beanie. Today is the the 6th day and I took these photos after shower (I am still waiting for the doctor to send me my pre op and post op photos) and removal of the petroleum jelly from last night. To remove the jelly, I use a disposable kitchen towel because it is absorbent and stronger than a tissue. Moreover, the petroleum jelly sticks to it. I tap my head lightly with the kitchen towel and then reapply the jelly. I do this twice a day as I shower before work and before sleeping. A small information about me. 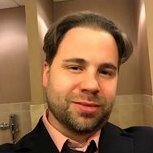 I started taking propecia a month ago because I thought that getting a hair transplant was pointless if I don't take the medication. The non transplanted hairs would thin out and I would look bald again. I have been all around, as most balding guys probably do, getting information about HT, etc. in my case, I didn't experience any side effects. ED is scary but I didn't really give much thought about it as the scientific evidence doesn't really lead directly to the medication (as far as I have read). Brain fog was a big concern as my job requires intense intellectual energy all day. I didn't experience any so I was quite happy. So far, I can say that the current results are pretty good. I am just thankful and excited to see how it would look like in a few months. Thank you for reading and I am looking forward to any comments if there are any. FUE 2145 grafts, 2 years 6 months result. FUE 2063 grafts, 13 months after surgery. Asians male, FUE 2890 grafts, 13 months result. Patient has been taking Finasteride 1 mg before surgery. strip FUT 2796 grafts, 1 year result, patient also takes Finasteride 1mg. 28yo asian, 11st Dec 2017, FUT HT 2700 grafts with Dr.Kongkiat Laorwong, Bangkok. My HT require two season. Season 1 for top parts, second season for crown area (estimate 8months to 1year after first season). Attached my pre-op and post-op photo for first season. and i start taking propecia after HT. Thank you for reading and im looking forward to any comments. Hi everyone, A quick update 1 month post-FUE. I am doing well I think. I developed some folliculitis after 2 weeks (aka. some pimples) but using the local antibiotic the Doctor and assistant gave me, it has gone away and I keep it in check with that. I also developed some relative pain at some point on the donor area. It did not prevent me from sleeping so it was bearable but I wanted to understand the issue and get rid of the problem so I went to consult a Doctor where I was at. She was not a specialist but said she could not see anything out of the ordinary and said there was no infection. She thought it might be due to folliculitis and just prescribed me some anti-inflammatory meds. The pain went away on its own 2 days after consultation. Doctor Laorwong, who I also reached out to, thought it could be due to nerve pain, due to some superficial damage but he was rightfully cautious in his response as he could not see me. I think his call was the right one though. I want to end it here by commending Dr. Laorwong for being really reactive in answering my emails when I had some issues and questions. That was really pro and appreciated as it provided me some guidance and was reassuring. Finally, top of scalp is still a little numb but the Doctor said that is normal and should last 2 to 3 months so all is well! Here are the pics after 1 month. As you will see, my newly grafted have started thinning and possibly shedding too. This is normal. Hi everyone, As promised, here are my post op pics 6 days after as well as my personal feedback on the following: 1. pre operation process 2. operation day on November 22 (6 days ago) 3. follow up. I will be glad to receive comments from the contributors with enough experience to judge the work performed. I had according to the Doctor about 2400 grafts placed up front and a total of 150 grafts on my temples. I am still waiting for Dr. Laorwong and his assistant Whan to send me their professional pre and post operation pics. They have not yet send them yet but I will share them if they add another light when they send them. FEEDBACK: Pre operation process: generally good. Email responses were next day and precise enough. I was given a drawing of my new hair line and a brief overview of the process and who does what. Doctor Laorwong and his assistant don't address you when they write to you so the responses dont seem very personalized and I would recommend to him they start doing that to increase their conversion rate but that's just a detail. The visit before the operation went ok too. The exchange was more informal than you would probably have in a top US or European clinic and you need to ask your questions on the process but professional and informative enough answers are given so good enough for me. Operation day: also generally good with a couple of points for improvement to improve quality a little. Arrived at 8am and did not wait. Dr drew new hairline, shaved donor area hair, proposed I keep some hair upfront (which I agreed to). Then moved to operating room where like 4 or 5 staff were waiting. Operation was about to start without briefing me on the specific steps of the procedure so I asked the Doctor to run me through the process, which he kindly did. This is one of my two recommendations for the Doctor as patients having never undergone this need to know what will happen in order to be informed and feel more secure. Otherwise, I think the procedure was as announced with the "Doctor making all the incisions on donor area and grafts being extracted by himself and his assistant" and "Doctor making all pre-made incisions on recipient area and then him or his assistant placing the grafts with the Lion implanter". I could not see everything for sure and was sedated (not sleeping but sleepy) but I trust the Doctor here and what matters is the end result for me anyways. Operation finished around 4:30 or 5 pm I believe with only a short break for lunch so the Doctor and his team worked hard. After the operation, I did not see the Doctor. I was told by his assistant what to do and given my maintenance kit and sent home. Here I want to make my second recommendation to you friends and to the Doctor. When I got home and exited the car, a part of the recipient area of my head accidentally hit the roof of the car. I hope this will not have a negative impact on my results but I want you guys to be very mindful of this as it could. The drugs cloud your range judgement so better to be warned in order to be extra careful. I hope this recommendation gives me brownie points with the guy watching up there and he gives me a pass on this one. :) Make sure you are careful and Doctor please tell Whan to include this in her warnings for future patients. Having it in the brochure that a patient reads after getting home is not enough. Thanks. Follow up: I had some swelling following the operation. This is normal on occasion and not linked to my little hit. Your head feels very hard post op (still now though less so) and I still sometimes feel a slight itching where my head hit the car roof but overall I feel good. Whan and Doctor were good at answering my post op questions. The tough part was not being able to sleep on my sides as I usually do. The Doctor gave me sleeping pills for the first 2 nights which helped but after that I have been having some sleep deprived nights. Tonight, I feel the hairs are rooted enough that I can carefully indulge in a good night`s sleep. Conclusion: I will post pics every month so you can see the progress. I hope this write up and future posts helps people. It is a little too early for me to fully endorse Dr Laorwong but so far so good. Guys, feel free to let me know your feedback based on pics, especially those with experience. I cannot promise to answer every questions but I will do my best. To answer Elduterino`s question for now, I have not taken any specific hair medication but the Doctor recommended Finasteride so I will look into that shortly. Kind regards. French male, 51 year old with Norwood III vertex, FUE 2437 grafts, 1200 grafts over the crown and 1237 grafts for hairline. We used 0.9 mm sharp punch, rotation motorized system, grafts were placed with implanter, and PRP injection at the end of surgery The result is 1 year following the procedure. Patient does not take Finasteride. Australian male, 44 yo, had 1 session of 3000 grafts from other clinic with poor growth. We did 1786 grafts, 10 months result. I've done my research and I have spoken to the best surgeons in Thailand, but so far my preference is the less famous Dr. Prima Tossaborvorn. I spoke to Dr Path and Dr Pong who both believed that FUT is the best procedure (so they are out). There is Dr Amonpattana who is highly respected on the academic side of things, is affordable, but I just feel her hairline designs are a little too straight and thin. This led me to Dr Prima. She is relatively costly at nearly $4,000 usd (pricey for asia, where I live), but I think the hairlines are best. However whenever I research I see most people just use dr path or dr pong (sometimes laorwong). She has been fantastic over email and very helpful and has listened to all my concerns. Here is some of her work and reviews and qualifications (abhrs etc). reviews: Is it insane to go with a surgeon who doesn't have tons of westerners writing reviews about her? (everyone just goes to turkey it seems these days). I really like her hairline designs, i'm very happy with our dealings with each other, and I love that I wouldn't really have to travel to far to get surgery (I have an issue with flying). Should I do it? Asian male 31 year old from USA, he has Norwood V and had one strip FUT from another clinic. He wanted more coverage and thicker hairs and doesn't want to do FUT anymore. 3060 grafts were transplanted ans was done in 2 days, the result was 17 months following the procedure. We used 0.95 mm sharp punches, the grafts were placed with implanters in pre-made slits. PRP injection was done at the end of surgery. 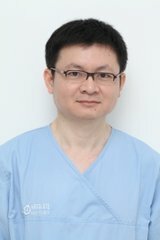 Hello all, I just went in for my 6 month update with Dr. Kongkiat Laorwong in Bangkok, Thailand. As you can see from the attached pictures (right after surgery and at 6 months), there are areas where grafts have not seemed to grow. He also confirmed this and stated I should wait 4-5 more months before any touch up. As I am not sure if I even want to go through another procedure at this point, I agreed. I just can't honestly tell if there will be any significant growth, especially in the missing hairline areas. I will state, my overall experience with him was just OK. His staff, seem to be the type that are very nice to you before the surgery while they sell you the service and after it's done and any follow up, they are a pretty cold. I can't honestly say that makes me feel great about his clinic...so be weary. Any comments on my progress would be appreciated. Thank you. Australian guy, strip FUT 3148 grafts, the result is 8 months following the procedure, not taking Finasteride. The work looks very clean, great job Dr. Laorwong. Asians male, has type III hair loss, 1849 grafts were transplanted by strip FUT. The result was 1 year following the procedure.